M.E.T.A. offers introductory workshops in professional mindful somatic therapies and personal development. They provide a taste of our unique experiential training orientation, and may serve as prerequisites to some of our trainings. Anyone is welcome to register for our introductory workshops without submitting an application. Participation in any of our trainings (our multi-week professional and personal growth trainings) requires a one-time application and approval. See individual training pages for more information. $225 3% fee for PayPal payments (via debit or credit card). The best place to explore how mindful somatic skills can help you in your work! Join us for a dynamic introduction to mindfulness, somatic counseling and interpersonal attunement. The Essentials weekend offers foundational theory and practice to enhance a wide range of services, including counseling, bodywork, coaching, teaching, facilitation, community mental health, and more. Our approachable format includes exercises, lectures, discussion and reflection to build personal awareness and interpersonal skill. M.E.T.A. and the Hakomi Method have been pioneers in the field of somatics and mindfulness for individual and community wellness. For more than 40 years, Hakomi-trained practitioners have served at the cutting edge of integrated health service, challenging the myth of the mind-body separation and expanding the profession’s trust in the inherent wholeness of human beings. The Essentials weekend is taught by core M.E.T.A. faculty with support from advanced student assistants, and offered quarterly. The Essentials weekend serves as a prerequisite for further training in M.E.T.A. and Hakomi. Successful completion of The Essentials enables a student to apply to a M.E.T.A. training program without the typical application fee. A discount code will be provided to students upon completion of The Essentials weekend. CEU: 4 CE for LMTs Meets Oregon Board of Massage Therapy’s new Ethics, Boundaries and Communication Requirement. 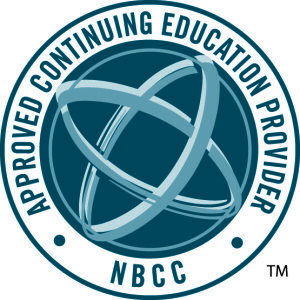 No NBCC CE Available. No drop-ins. Advance registration is required. This workshop is currently unscheduled. Check back soon! Deeper than words, older than thoughts, more primary than memory, our first experiences in the womb were the touch of that inner ocean. In our cells, we never forget. Touch carries fundamental and healing meanings that can only be unlocked with awareness. Our work can help clients make strong and healing contact with their own unconscious depths and embodied wisdom if we know how to foster that awareness. Join Nova Knutson for a day of exploring the hidden healing potential of Massage, Energy and Manual therapies and the mysterious meanings of contact. If you have wondered about M.E.T.A.’s Integrative Bodywork Program, this one day workshop is an excellent chance to get a feel for our orientation, try some of the techniques of the work and taste the unique experiential learning environment we create.